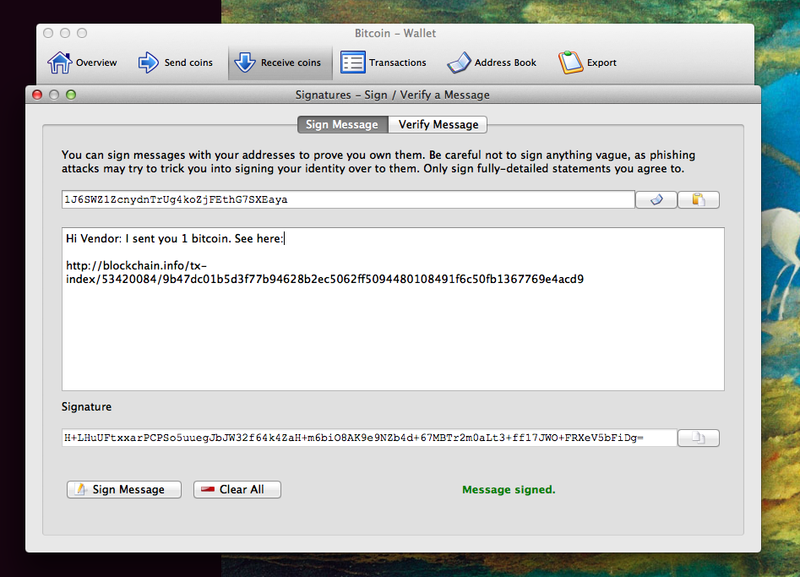 How does one create a proper signature for a given message using Bitcoin private keys? 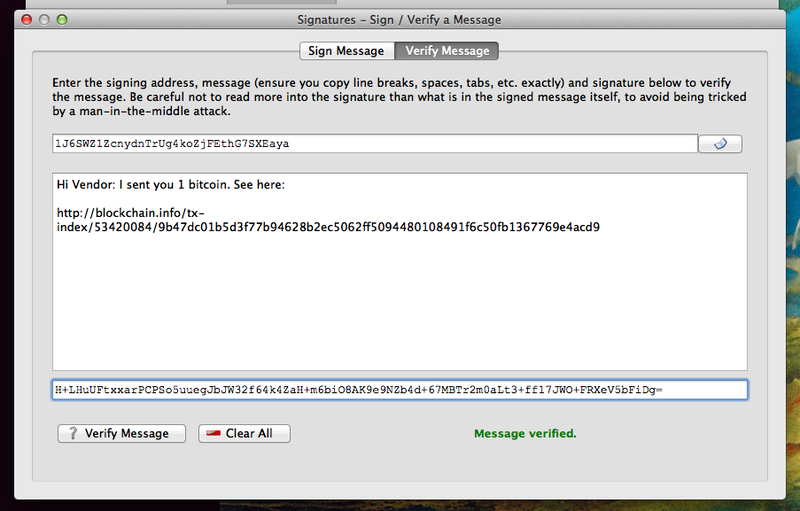 None of them appear to work as signatures when I try to verify the message signature using tools like http://brainwallet.org/#verify . How do I properly sign messages using Bitcoin private keys to be compatible with BitcoinQT? Or you can do it in blockchain.info/wallet by clicking the menu above your addresses. No need to do it manually. Not the answer you're looking for? Browse other questions tagged bitcoind signature algorithms standard message-signing or ask your own question. For what purposes do we need “Sign message”? Can I sign a message with an Open-PGP key?